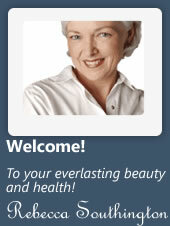 Janson Beckett is a company based in Cerry Hill, New Jersey, that specializes in anti-aging skin care. The company has a 35-year heritage of product excellence and consumer safety. The company’s topical formulations provide a safe and effective program for repairing damaged skin, maintaining skin’s improved health and preventing future skin damage. Janson Beckett has anti-aging products that contain the miracle wrinkle-reducing Botox alternative – Argireline. The company’s anti-aging products include the safest and most potent active ingredients like Alpha Lipoic Acid and Vitamin C Ester (protective antioxidants), DMAE (skin firming and tightening), Collagen (reduces wrinkles and lines), Elastin (adds flexibility to the skin) and Soy (rejuvenates the skin). The company has an excellent website that provides comprehensive information on all their products as well as the background information. The website includes customers’ testimonials with before and after treatment photos, product comparisons and FAQs. Janson Beckett has developed its flagship product Alphaderma CE, a proven anti-aging treatment that combines the powerful blend of the most effective anti-aging, clinical ingredients. Alphaderma CE is ideal for reducing fine lines and wrinkles on the face, around eye area (crows feet), forehead frown lines and other areas where fine lines and wrinkles are present. The product is also effective in diminishing stretch marks and scars, as well as in firming sagging skin due to weight loss and pregnancy. Alphaderma repairs the damaged skin, prevents any future damage and restores the skin back to its youthful appearance by rejuvenating, rehydrating and replenishing. The key ingredient of Alphaderma CE is Argireline. The product has ten percent concentration of Argireline. Other ingredients include demineralized spring water, octyl methoxycinnamate, gycerine, olive oil, oxybenzone, soybean oil, stearic acid, hydrolyzed soy protein, soluble collagen, hydrolyzed elastin, alpha lipoic acid, ascorbyl palmitate (vitamin c ester), dmae bitartrate, aloe vera extract, glyceryl stearate, allantoin, citric acid, microcrystalline cellulose, cetyl alcohol, simethicone, methylparaben, propylparaben, cetearyl alcohol, ceteareth--20, and tea carbomer 940. Janson Beckett line of skin care products contain some of the most effective anti-aging ingredients such as Argireline, DMAE, Elastin, Collagen and Hyaluronic Acid. The website provides all the necessary information about the products and offers customer testimonials. All products are manufactured in the U.S. by Janson Beckett. Some of the products of the company are found to contain parabens, an artificial preservative that can cause skin irritation. There are no free trials or money back guarantees provided for their products. Some of the users complained of getting dry skin after using Alphaderma CE. Janson Beckett’s Argireline based anti-aging formulations are a safe and painless alternative to Botox. They minimize wrinkles and fine lines, leaving the skin smoother and younger. The company’s products are designed by combining the most effective ingredients for anti-aging treatments. However, the multi-step treatments required by some of the products may be quite inconvenient and time-consuming for consumers.